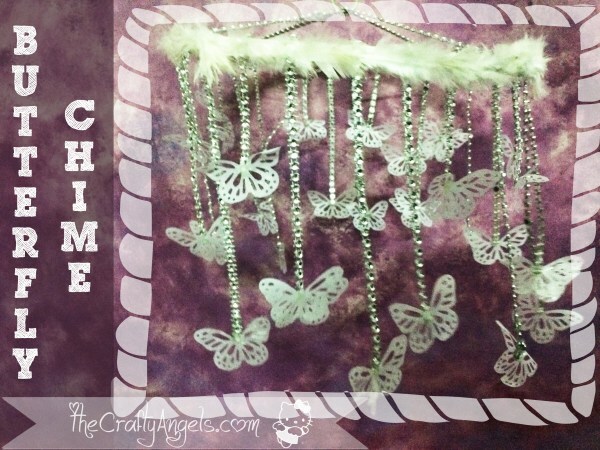 I’ve been lately thinking of giving a spring makeover to my room and after experimenting with my new Martha Stewart butterfly punch , I came up with the idea of making a butterfly chime. Do you guys do any makeover to your room as your mood changes? I love something new and something handmade in my room that adds that little sense of pleasure and happiness every time I look at them. This butterfly chime turned out so much better than how much I had actually expected it to be. Do you feel like making one too? Go ahead to read the full tutorial on how to make butterfly chime.